One of the great features of PDPworks has always been remote links. Unlike ProScan and JDA Invitations which generate and send emails to respondents directly from the application, remote links are unique URLs that you create to use on your websites and in your personal emails to those you wish to complete the ProScan or a JDA. PDPworks 4.0 will initially continue to support the 2.3 style of remote links. In fact, for a limited time, you may continue to use existing and even build new Remote ProScan Entry links and Remote JDA Entry links in the same way as before. However, the Remote Report Link will not be supported (the respondent optionally purchases a report after submitting the ProScan survey). 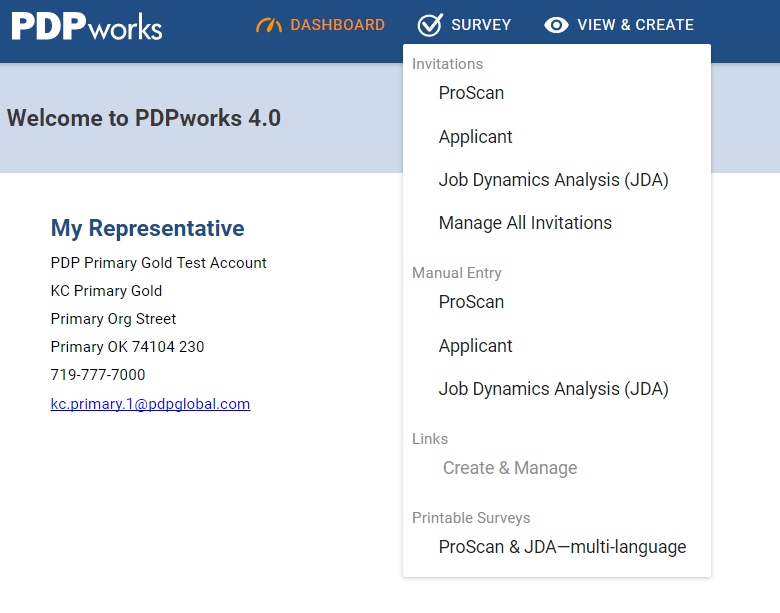 Under the Survey menu of PDPworks 4.0, there is a placeholder for the future release of Links. This “Create & Manage” future feature will greatly expand the function yet simplify the management of links. We’ll keep you posted! But for now, keep using your current remote links with PDPworks 4.0!